Danabijak is a fast growing FinTech company established in Southeast Asia. 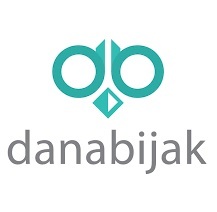 With more than 100 employees, Danabijak is a technology company outstanding from others in the industry by its strategic focus on big-data and software. Join Danabijak and help build the future of #FinTech technology in Asia! Contribute creative ideas and manage all visual communications of any project required, you can also explore various format (pictures, animation, videos, etc.) for better optimised in social media and digital conversion. Skilled with professional design software like Adobe Photoshop, Illustrator etc. Having online portfolio (ex: Behance, Kreavi) or personal projects will be a huge plus. Own the eagerness working in a fast-paced & dynamic FinTech environment. Available for (at least) 3 months of internship. Epic work environment with endless learning opportunities. Description Danabijak is a leading financial technology company providing fair credit solutions. We’re one of the first peer to peer lending in Indonesia and have seen a strong growth in the last 2 years. Danabijak is looking for additional team members to help us fulfil our vision of servicing the underbanked. Danabijak cares about developing employee’s skillset and potential, improving technology-based processes, and maintain proper and compliant business conduct.